The Ford Escape is one of the top selling compact crossovers. This vehicle has tons to offer. It is powered by a1.5L four cylinder Eco boost that boasts 179 horsepower and 177 foot pounds of torque. 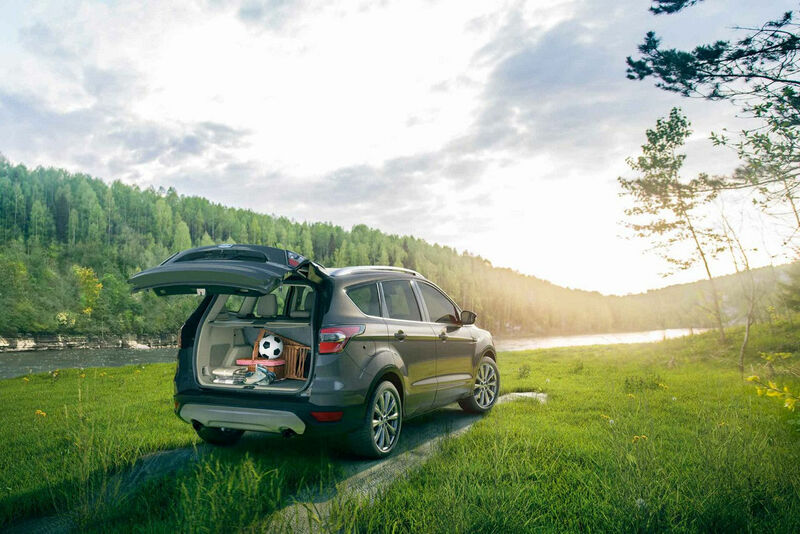 Its athletic driving dynamics, agile handling and front wheel drive make the 2018 FORD Escape SE make it the perfect vehicle for any adventure. The Ford Escape is a sharp looking SUV with 17-inch silver aluminum wheels. It comes with a keyless entry keypad that lights up when touched. You can choose a select shift option that comes with paddle shifters behind the steering wheel. It comes with the option for four-wheel drive. In addition to being a good-looking vehicle, the Escape is fun to drive and comes with plenty of room for passengers and cargo. The hatchback is easy to open and reveals a surprising amount of cargo space. The Escape is known to be one of the most engaging compact SUVs on the road with quick steering and a tight suspension. The transmission operates smoothly and feels lively around turns. If you decide to go turbo-charged, you will find yourself accelerating to highway speeds and passing slow moving traffic a breeze. With the nice acceleration Ford backed the Escape up with solid and consistent braking performance. This little SUV trades little in the way of ride quality in return for its exceptional handling. The interior is sharp and designed for easy use. The height of the vehicle is just right for entering and exiting with no need to bend down to get in. But don’t take our word for it. Head Petrie Ford for a test drive today. It is a perfectly well-rounded vehicle. It averages about 32 miles per gallon overall and gets about 23 miles per gallon in the city. The Escape is a quality vehicle that anyone should like.